Frederic A. Scarola, “Rick” – is a co-founder and principal of Covenant Capital Group. Rick is responsible for setting investment strategy for acquisitions and dispositions, and is a member of the Investment Committee. 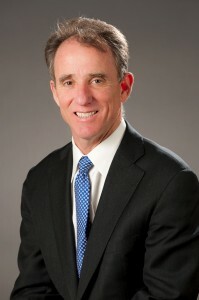 During the past 25 years, Rick has been involved in the acquisition and disposition of apartment properties for a number of companies where he was directly responsible for identifying, evaluating, negotiating and executing these transactions for apartment communities located in the Southeast and Midwest. From 1998 to 2001, Rick was an Executive Vice President with Brookside Properties, Inc., Nashville, Tennessee. From 1985 to 1998, Rick worked for Insignia Capital Advisors and predecessor organizations, where he played a major role in the disposition of over 15,000 multifamily units. These transactions involved 250 apartment communities with a value of over $2 billion. While at Insignia, Rick acquired apartment properties under exclusive advisory agreements for Mid-America Apartments Communities, Inc., New Plan Excel Trust and Graystone Properties. Rick also serves on the University of Florida Real Estate Advisory Board and is a member of the National Multi Housing Council. Rick holds a Bachelor of Science in Business Administration from the University of Florida (1982).